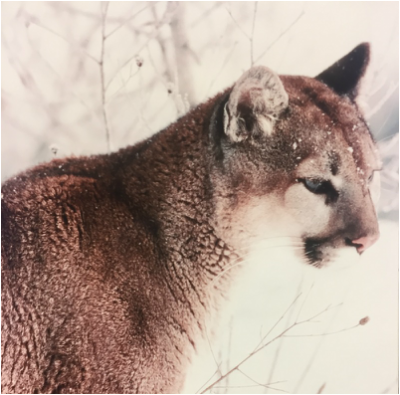 The Michigan Wildlife Conservancy is currently and has been involved in numerous wildlife projects throughout the years. Click on the links below for more information on the exciting projects at MWC. Members of the Michigan Association of County Drain Commissioners have visited the Center several times to learn how to provide wildlife habitat in conjunction with drain improvement work. The Center and its grounds have served as "learning laboratories" for students majoring in environmental, natural resources and land-use planning disciplines at colleges and universities across the state. Additionally, many people have visited the Center to learn how to develop backyard ponds and other suburban wildlife habitats by touring our Demonstration Gardens. Our training efforts are not confined to the Bengel Wildlife Center. Conservancy staff also works with volunteers providing "on the job training" and conducts educational workshops on a variety of wildlife-related topics statewide. "I'M A STRONG BELIEVER IN THE PARTNERSHIP BETWEEN THE MICHIGAN WILDLIFE CONSERVANCY AND THE DRAIN COMMISSIONERS. IT'S IMPORTANT TO PRESERVE AND PROTECT HABITAT AND THE KNOWLEDGE THE CONSERVANCY TRANSFERS TO US HELPS US DO JUST THAT."